Cloud services vendor Outsourcery is working with Microsoft to offer compliance with Impact Level 3 (IL3) for cloud services offered to the government sector. Outsourcery already offers IL2 for its O-Cloud for Local Authorities and the higher security level could add significant business opportunities for resellers within the Central Government G-Cloud Framework, the partnership claimed. The service provider will use the improved O-Cloud operating systems network and Microsoft will offer direct technology design and implementation support, in what Outsourcery said was the first initiative of its kind in the UK market. 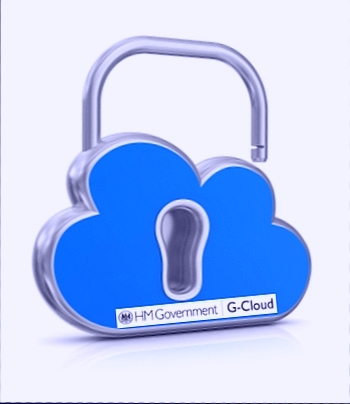 As a recognised supplier to the Government Procurement Service, an executive agency of the Cabinet Office for the G-Cloud Framework, Outsourcery’s reseller partners now service 30,000 public sector organisations. The addition of IL3 security accreditation will grant them access to a new range of central government departments that require more stringent security, claimed Outsourcery’s co-CEO Piers Linney. “This is a significant development for Outsourcery and we expect it to represent a material revenue stream by the end of 2015,” he said. The new cloud services, planned to be available to the reseller network in 2014, will span platform, applications, unified communications, and Big Data storage and analytics in response to demand feeding back from the channel, he added. “Microsoft and our large partners have been asking for such a capability as the government increasingly embraces cloud-based solutions for its ICT requirements.,” Linney said. Outsourcery is already ISO 27001 (Information Security) accredited and is capable of deploying local government standard IL2 accredited services. Since the UK government introduced a Public Cloud First Policy mandate, the annual hosting value is estimated to be worth £2 billion, said Outsourcery. IL is more accurately expressed as Business Impact Level, or BIL, and there are seven levels (0 to 6) . This is a categorisation given when the damage a data leak would create (financial and social) has been independently assessed. For example, data whose loss is valued at between £1 million and £10 million could be categorised as BIL 3.3.4, for example. A service using this data would have to be validated at a security level of IL3 but the information owner would still need to check. However, once a system has been assessed and categorised, the accreditation effort does not need to be repeated. The new IL3 accredited platform will be hosted in the UK and wholly-owned and managed by Outsourcery. The new service is a physical separated version of Outsourcery’s existing O-Cloud platform and offers infrastructure-as-a-service, applications including Exchange Server, SharePoint and Dynamics CRM and Lync Server based unified communications with full voice capacity.